This works surprisingly well. I started off just messing around in the shop happened to have these items fairly close on the workbench. 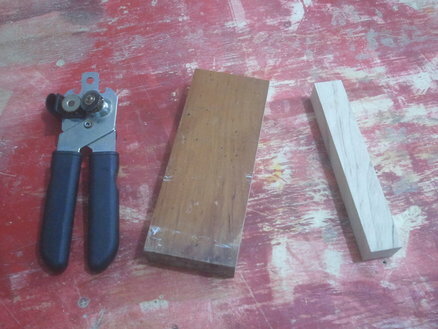 I sat for a minute and it dawned on me that I could make an inexpensive marking gauge. 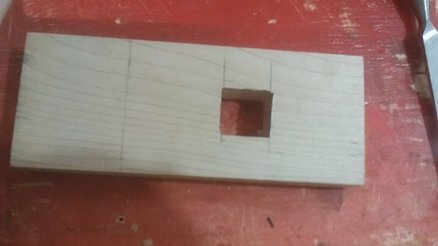 I did not wan to to cut and glue anything so I chose to mortise the opening instead. 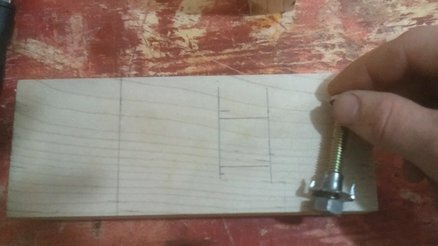 Typically you see this mortise created by gluing 4 pieces of wood together. The top and bottom are at full length and the side pieces are sized to create a slot for the depth adjustment piece. 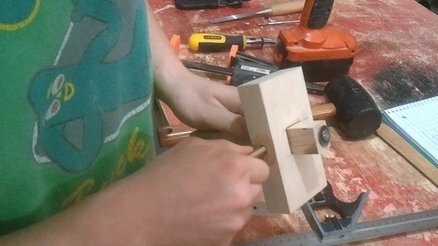 I drilled a hole in the top of the body for a toilet bolt to go through. 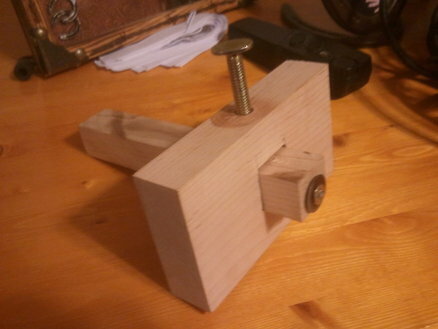 This was going to be my locking mechanism. It’s not pretty but it does the job just fine. Using the toilet bolt, I pulled a t-nut up from inside. The circular cutter on a cheap can opener looked like it would work great for the marking blade. There are plenty of production marking gauges on the market that use the same style circular cutter head, so what if mine came from a can opener! 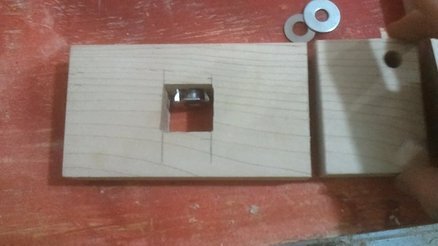 I took the circular cutter off and screwed it on to another scrap piece of maple. This thing works great. Check out the video for a better idea of how its made.